When home and business-owners in the Aurora area find themselves in need of a new water heater, they trust the professionals at Euro Plumbing LLC. As a leading team of plumbing specialists, we offer prompt, dependable installation of water heaters. We install only the most modern and high-efficiency water heaters, guaranteed to offer years of dependable performance. Our residential and commercial clients appreciate our excellent workmanship, commitment to great customer service, and competitive pricing. To receive a free estimate for a newly installed water heater, call (303) 668-6844 today! Aurora residents depend on a consistent supply of hot water all times. However, water tank heaters have a lifespan. Even the most efficient, well-installed water heaters will eventually require a replacement or repair. Fortunately, the plumbing professionals at Euro Plumbing LLC specialize in swift, reliable installation of top-quality water heaters. We expertly install conventional, tankless, and solar water heaters as well as hybrid heat pumps. 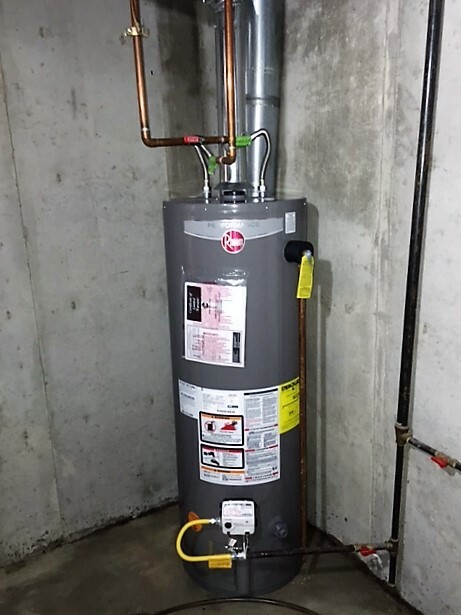 Depending on your consumption and budgetary needs, we install a water heater that’s perfect for your space. If you are unsure of which heater will be best for your home or business’s needs, we can recommend the best option for you. 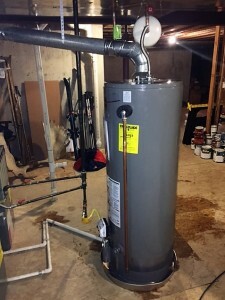 Euro Plumbing LLC also offers dependable water heater repair, if needed. However, if replacement proves the only option, we’ll proceed with the installation. 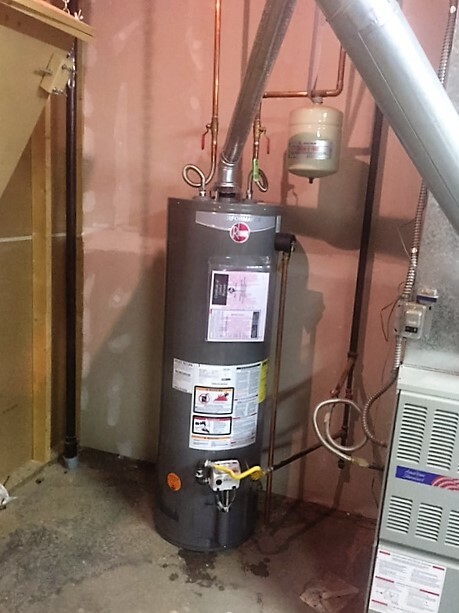 As we work with the most dependable suppliers and manufacturers of water heaters in the area, we are able to pass on cost-savings to our clients. We’ll ensure that you gain years of outstanding reliability and performance from your water heater. For the most reliable water heater services to your home or business, contact the experts at Euro Plumbing LLC! We install an extensive range of various types of water heaters for your residential or commercial space. Our water heaters offer unmatched durability, ease-of-maintenance, and efficiency over years of use. Among our water heaters are conventional water heaters, powered by electricity or gas. We also install tankless heaters which heat water at the source only when it needs to be used. Hybrid heat pumps obtain thermal energy from air and heat water, and solar water heaters use solar energy for hot water production. When you choose to work with us, you’ll benefit from our unmatched expertise in all types of plumbing fixtures and appliances. To learn more about our water heaters, contact us! From the initial consultation to the final installation, our expertise will leave your home or business with a plentiful supply of hot water. Our pricing is affordable and competitive, and our installation process is rapid and diligent. We are committed to minimizing disruptions to space as usual, completing the job quickly and dependably. 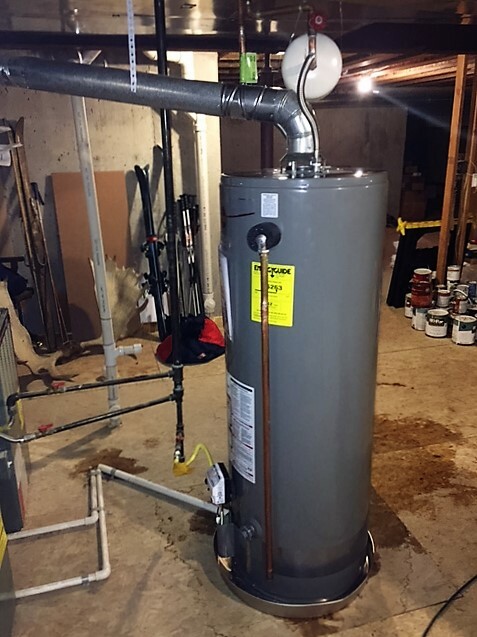 In no time, your water heater will be installed and ready to supply years of reliable use. For a free consultation or assessment, contact our water heater specialists today! Let’s face it, there are very few sensations as frustrating as waking up for your morning shower and realizing that your important ritual has been thrown into disarray because there is no hot water. 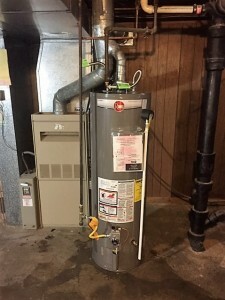 If you have recently experience this or something is similar, then it is likely that your water heater is on its last legs and may need to be replaced. 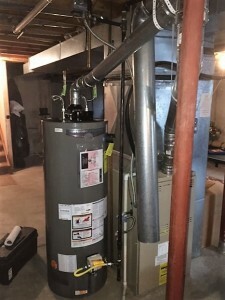 If you are an Aurora resident and want to upgrade your home’s water heater, then you need to make sure you enlist the services of a professional plumbing team that can deliver real results in record time. With years of experience, there is no job too big or task too small for our dedicated team of experts. We are proud of the fact that we have been able to assist homeowners just like you in Aurora to install high-quality water heaters, and we are committed to continuing this for many years to come. So, if you want to avoid the hardship of cold morning showers, then you need to give us a call today. Trust us, you will not be disappointed. What’s the Average Cost of Water Heater Installation With Euro Plumbing LLC? Now that we’ve been over how our experience makes Euro Plumbing LLC the best choice to install your water heater in Aurora, we can go over the second-best reason: our incredible prices! Like with any other home improvement project, the exact cost to you will be variable depending on the size of your home, the make and model of your water heater that you choose, whether any significant plumbing repairs need to be made, etc. That said, Euro Plumbing LLC has so many years of experience installing water heaters in Aurora that it’s pretty easy for us to give you an accurate estimate on the spot. To get the most accurate estimate in writing, give us a call, but use these figures as a ballpark range to work from! These figures represent a full day’s labor of one of our trained, insured, and licensed plumbers to install your new water heater in your Aurora home. It does not include the cost of the heater itself—but Euro Plumbing LLC has an excellent selection of water heaters for you to choose from should you so desire! Single tank whole-home systems are much less expensive up front, but they also place a significant drain on your home’s energy bill each month. These models take up a lot of space, but are simpler to install because of their larger and less complicated heating mechanisms. Generally, the plumbers at Euro Plumbing LLC can install a tanked-model water heater in less than a full working day. It all depends on the size of the heater and your home’s existing plumbing setup. But for labor, you can expect to pay about $300-$850. Tankless models cost more to replace, service, and install. Why? Well, tankless models usually have several points where they will be placed throughout an average-sized home in order to create optimal water heating and flow. The benefits, however, are greatly increased energy efficiency. Tankless models can save you up to 20% of your monthly energy bills! The average cost to install a tankless-style water heater is around $1,400 to $3,100. Special solar models can cost up to $10,000, but if you’re interested in the ultimate in energy efficiency, give us a call, we’ll work something out! Leaking Pressure Relief Valve: The pressure relief valve is a very important part of your residential water heater and is generally located in the top right-hand corner. It opens when the pressure inside the tank reaches extremely high levels, letting out water and lowering the pressure inside. However, if it begins to leak then this a telltale sign that there is too much heat or pressure in the tank. Either option is bad news and could mean that an explosion is close at hand. On top of that, if the valve looks like it is worn out or has been replaced recently, then this means that it cannot handle the pressure or heat in the tank and might be about to fail. 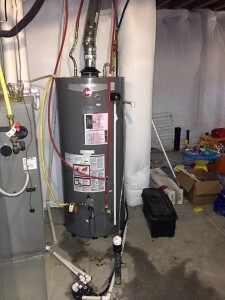 Rotten Egg Smell: If your basement has started to stink of rotten eggs, then there is a good chance that your home’s water heater has seen better days and will need to be replaced. The smell of rotten egg usually indicates a gas leak has occurred and that needs a plumber’s expertise right away. 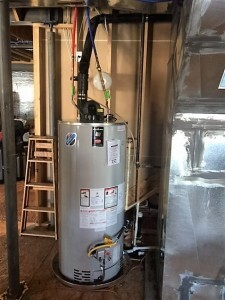 Why Choose Euro Plumbing LLC for Your Water Heater Installation? With three years of superior customer service in Aurora, tons of five-star ratings from customers on Yelp and Angieslist, and a much-coveted A+ rating from the Better Business Bureau, Euro Plumbing LLC is making our name in Aurora based on our courteous and efficient service. We treat our customers like we would a friend of the family. You’ll always get straight-to-the-point work done at reasonable rates. 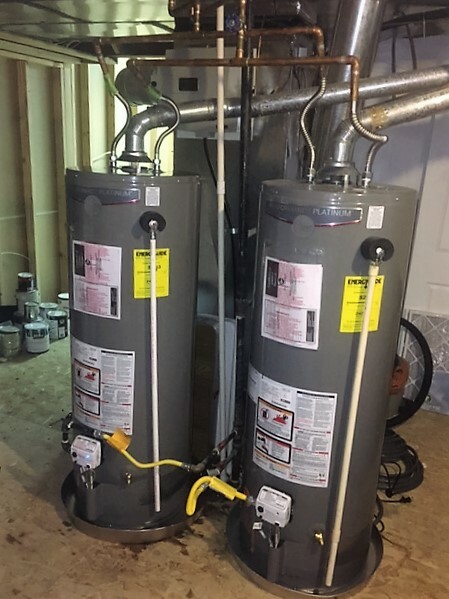 That’s our guarantee to you—why not find out what so many other Aurorans have and try our awesome water heater installation service on for size yourself? If you think that your home’s water heater has seen better days, then you need to get in touch with us immediately. 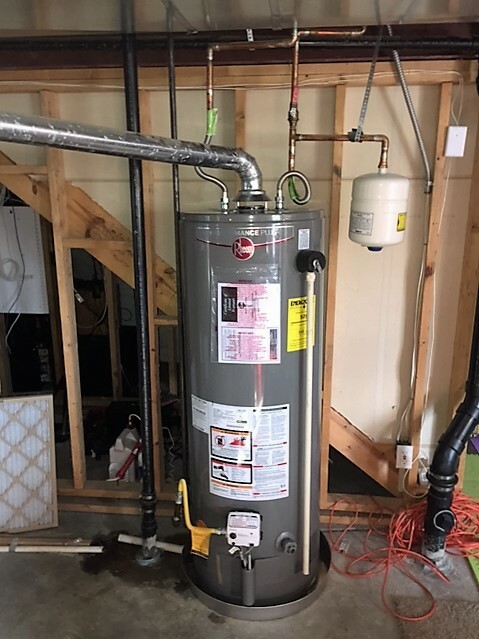 Euro Plumbing LLC will show up to your door as soon as possible and quickly and affordably install a new water heater for you! Call us today for a free estimate or to book our services!